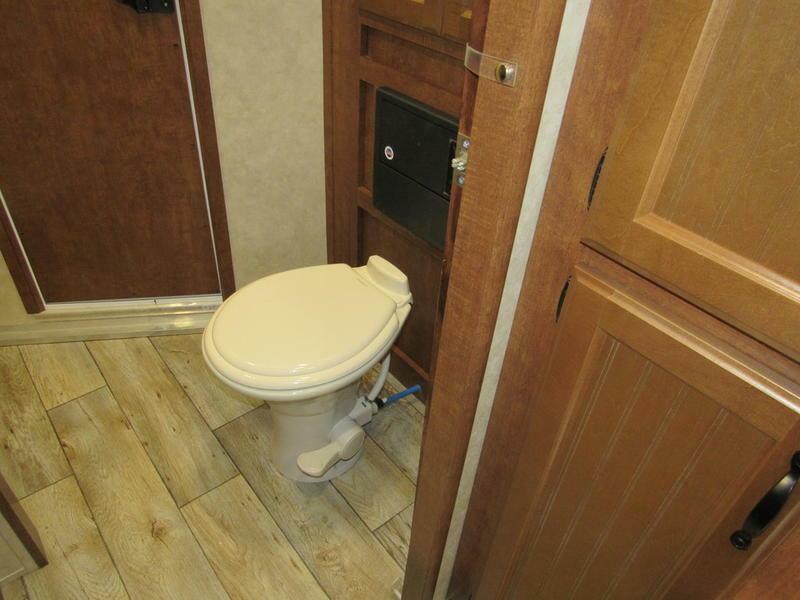 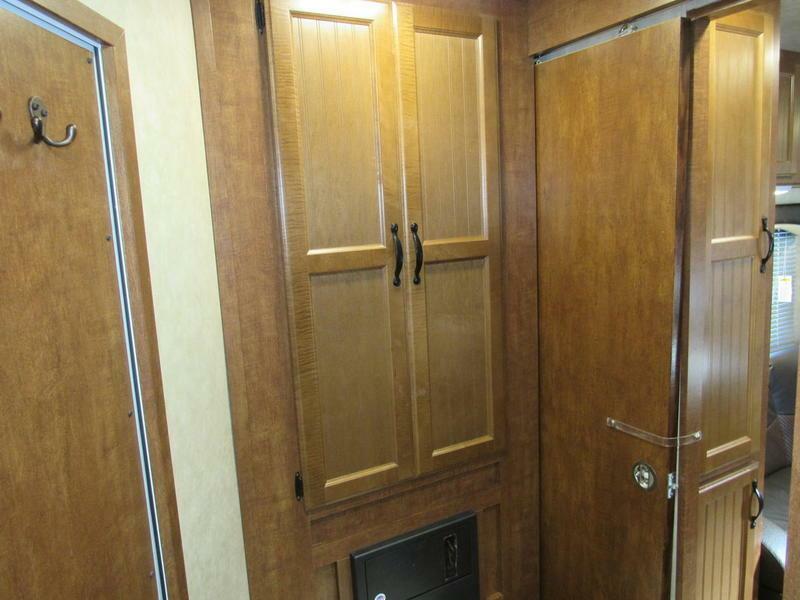 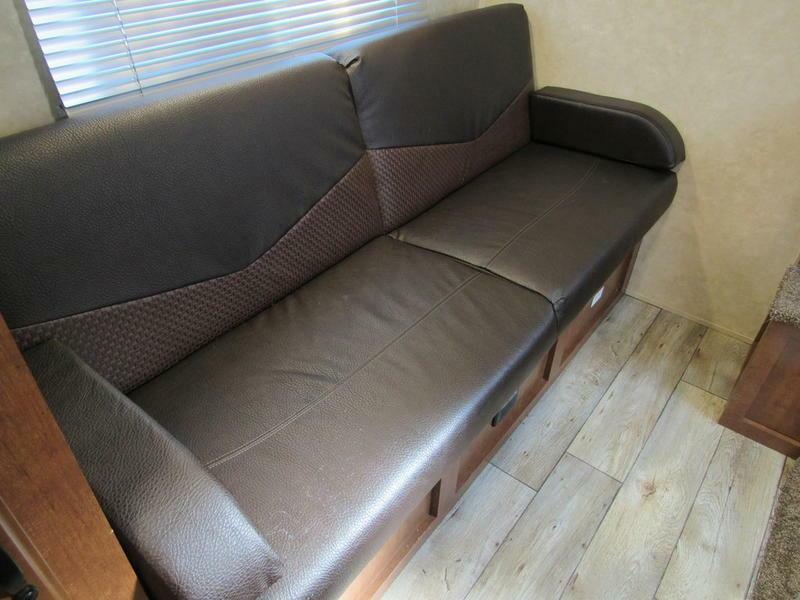 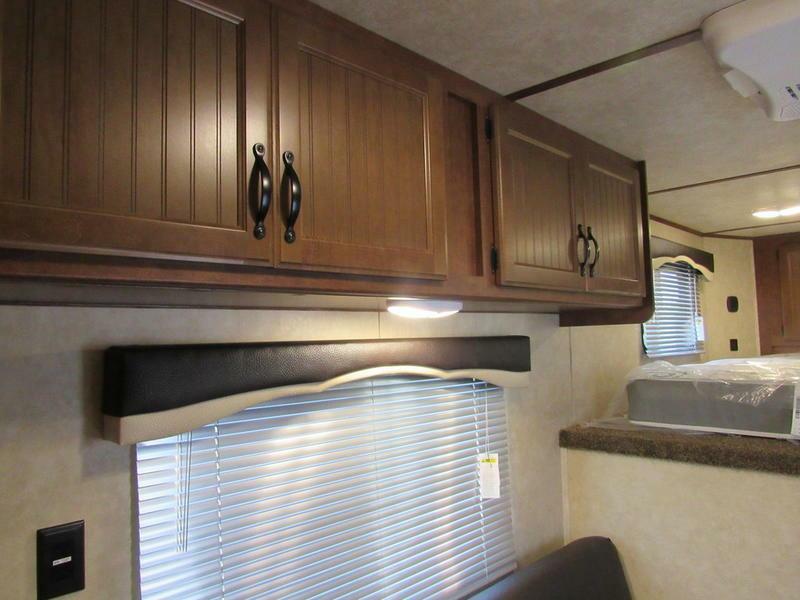 Featuring stunning hardwood beaded maple cabinet doors and rich upholstered seating, the all-new TRAIL HAND by BISON offers the look and feel of a coach costing much more, but with a price to fit your budget! 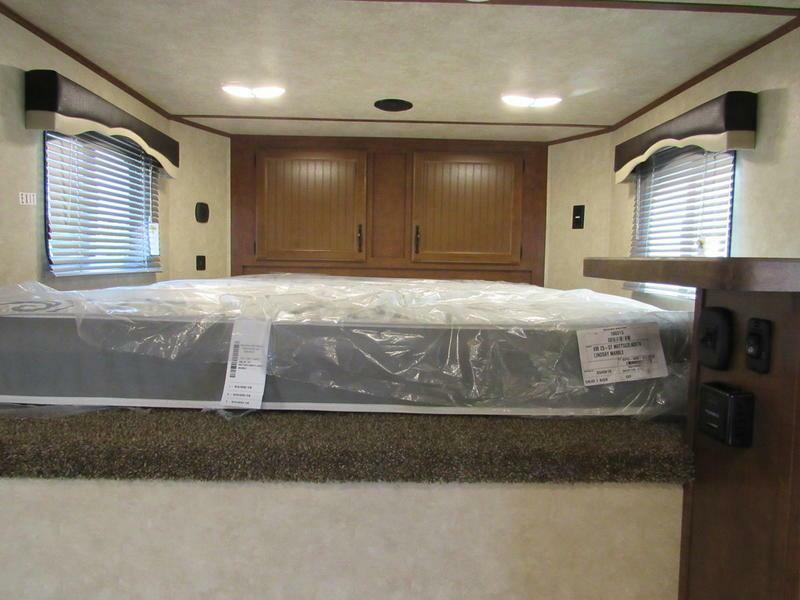 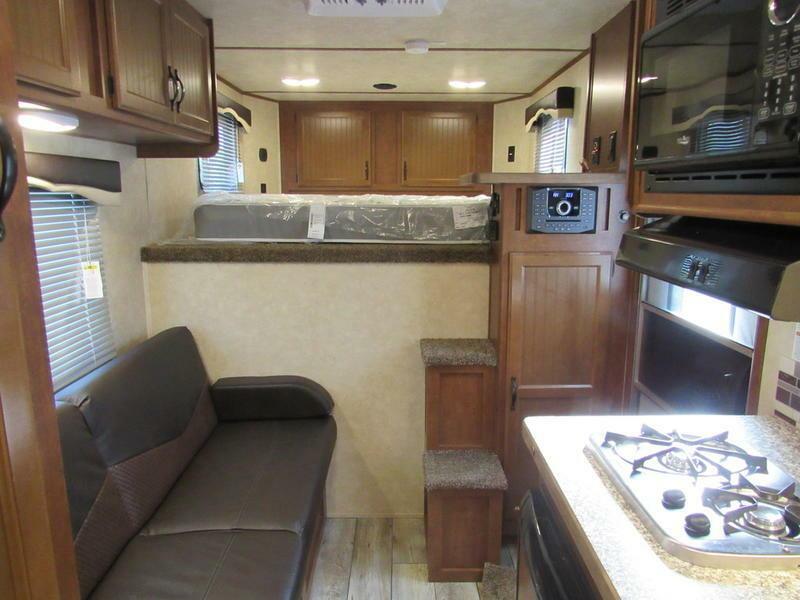 With full living quarter packages with dry baths, LED interior lighting, residential grade plank-wood look flooring and plush carpet in the bed area, the TRAIL HAND offers a relaxing retreat after a long day of riding. 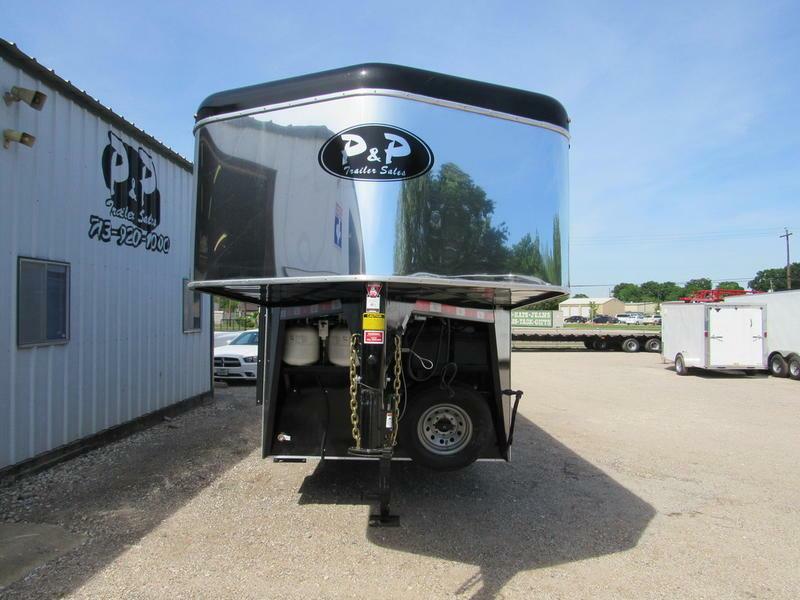 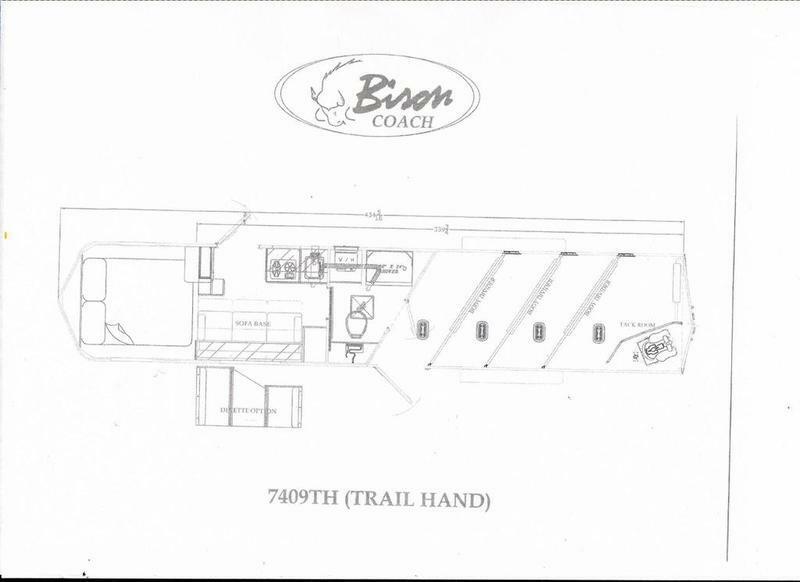 The exterior of the TRAIL HAND features rugged aluminum sheeting over a tough steel constructed coach. 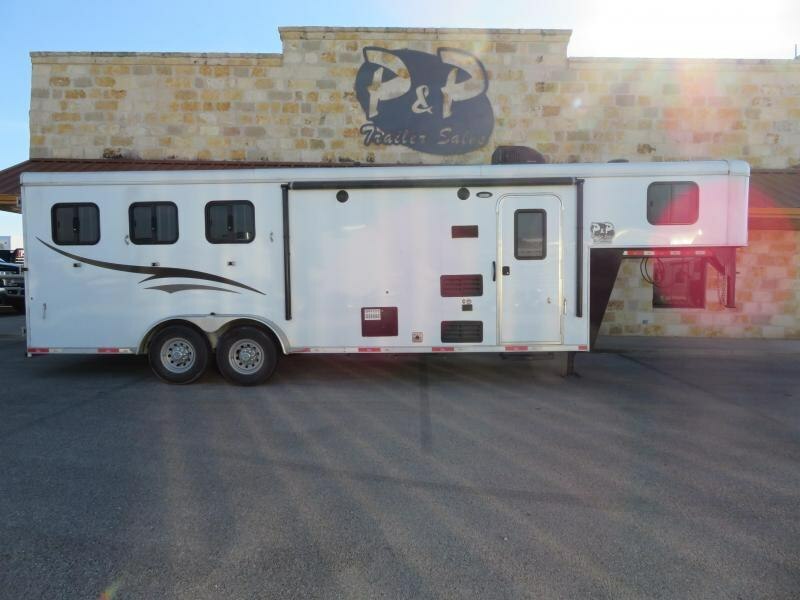 Stylish graphics highlight the exterior while a heavy duty gooseneck coupler with convenient hitch light allows for easy hookup. 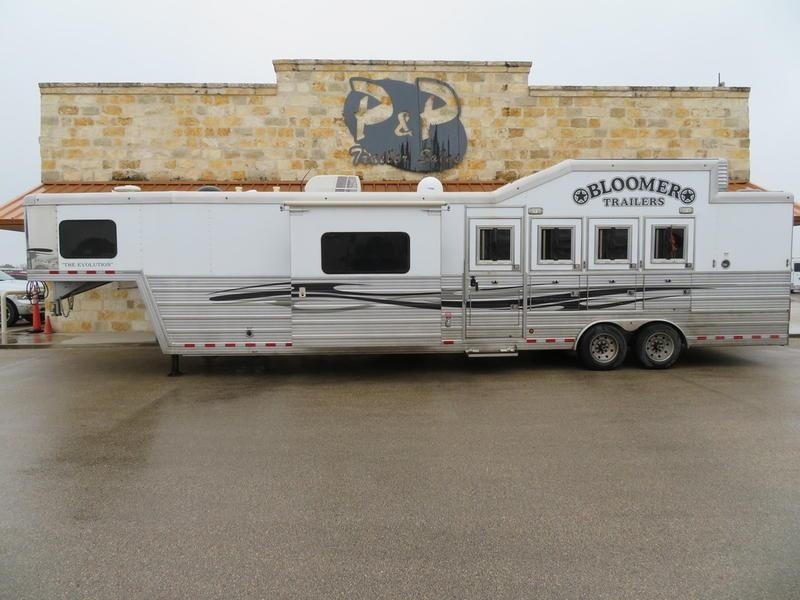 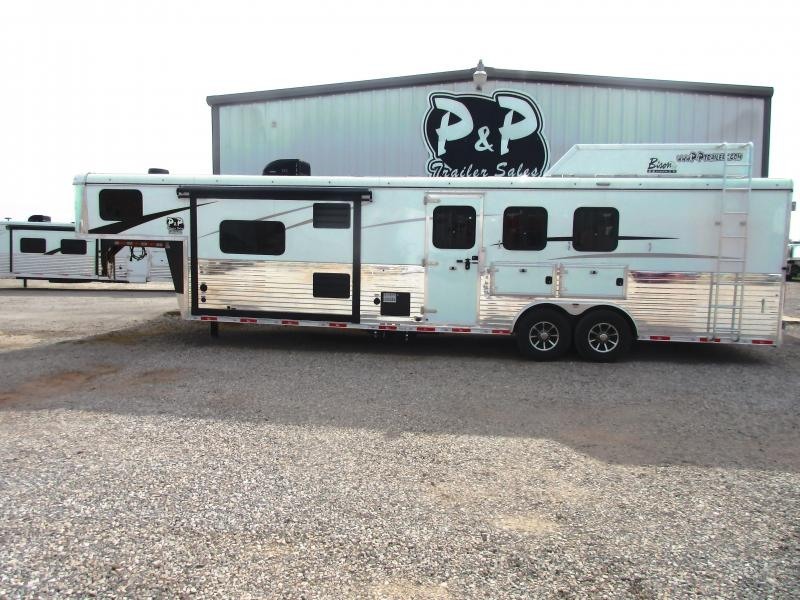 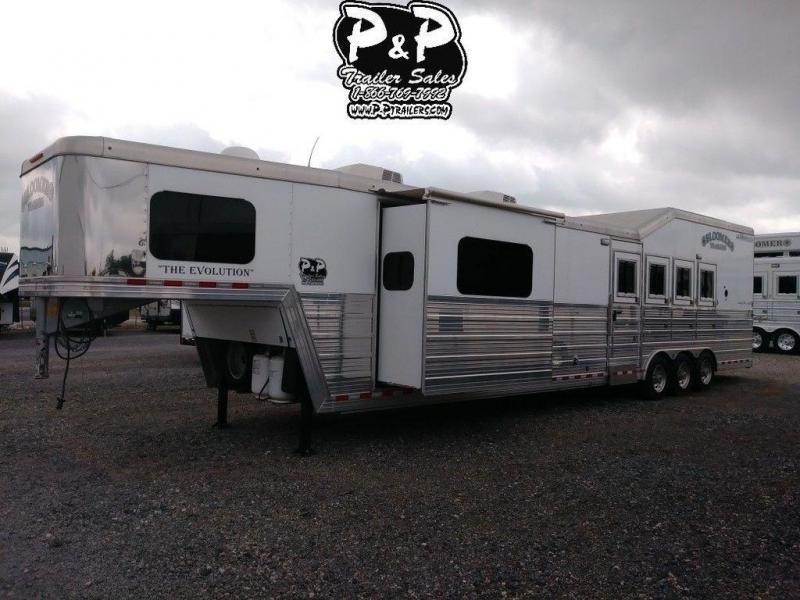 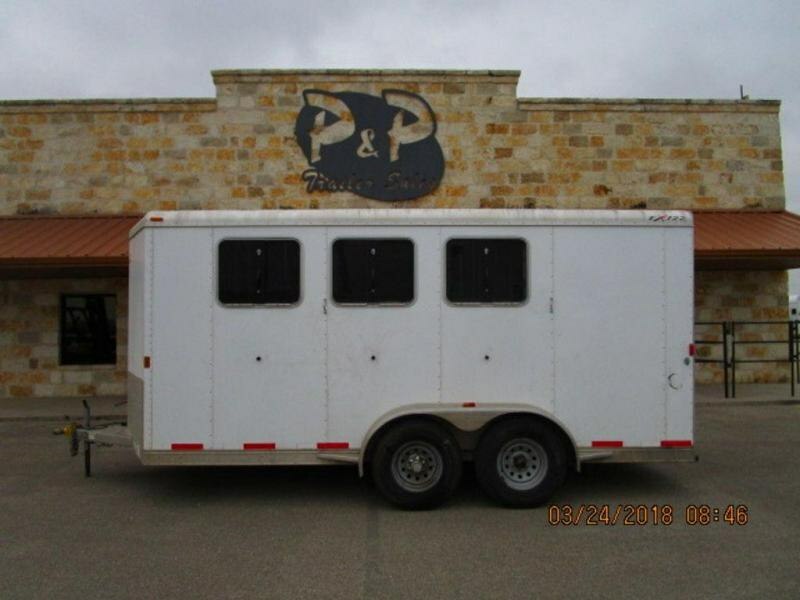 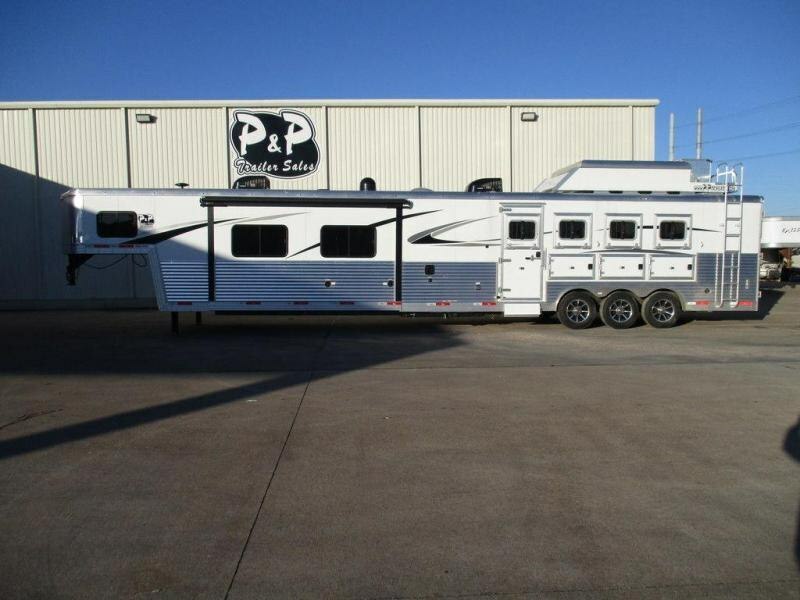 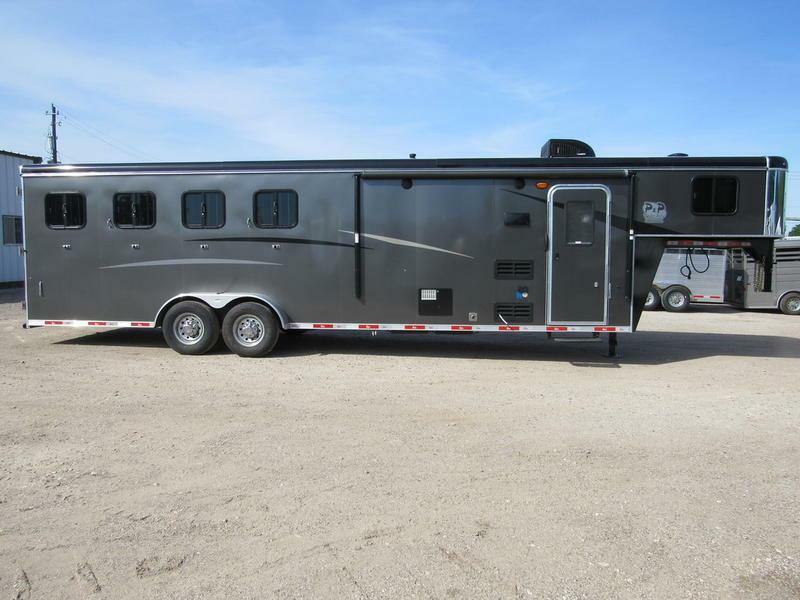 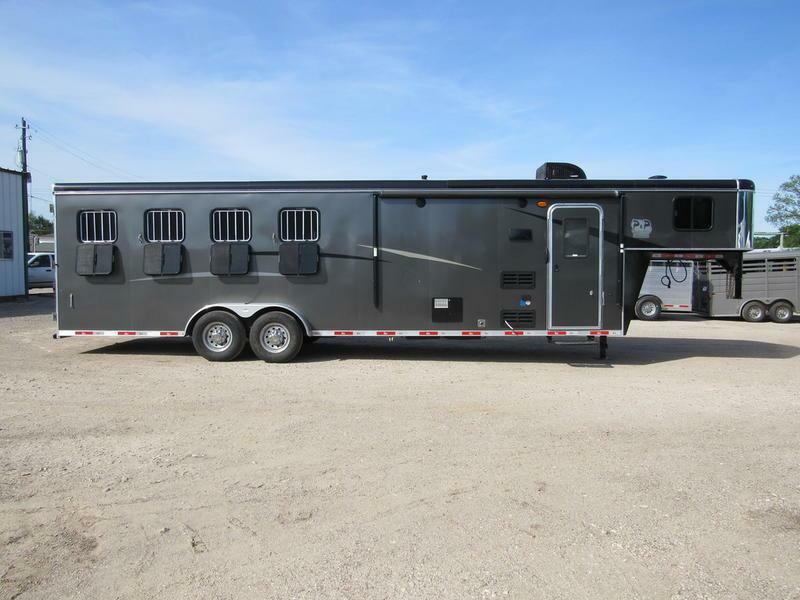 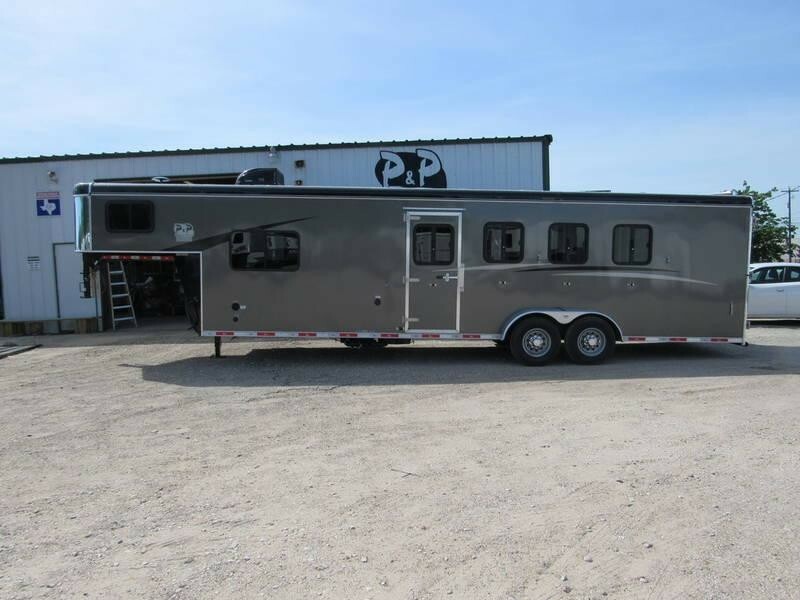 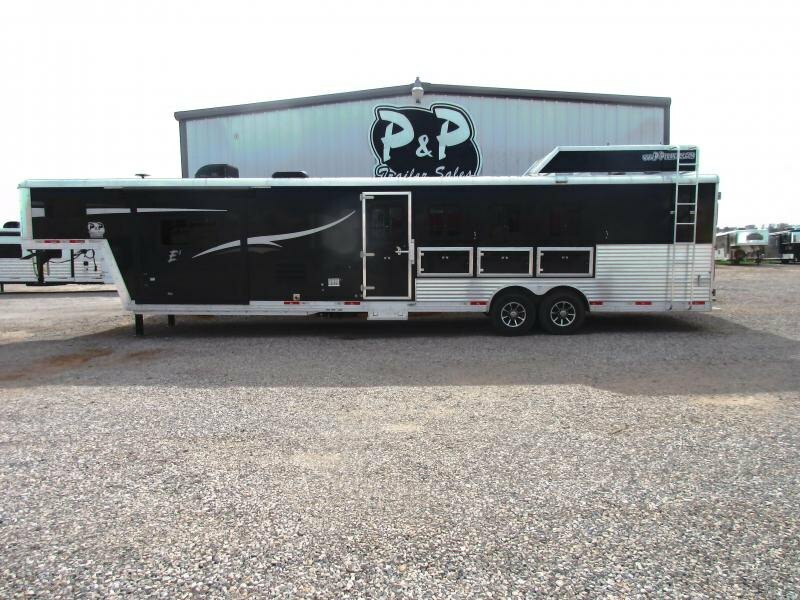 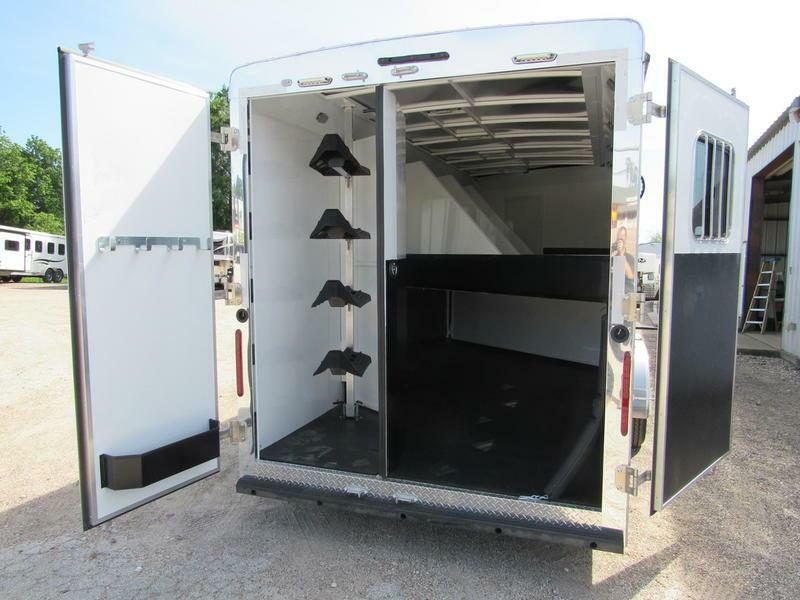 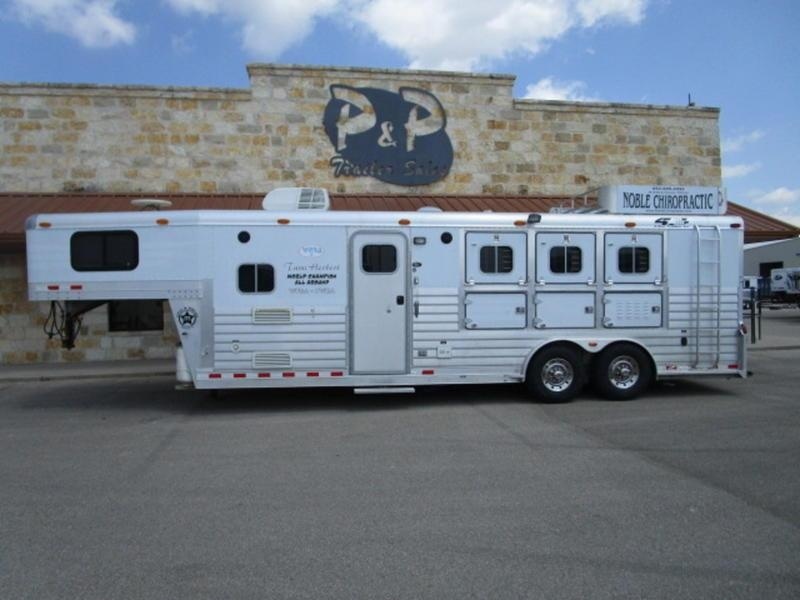 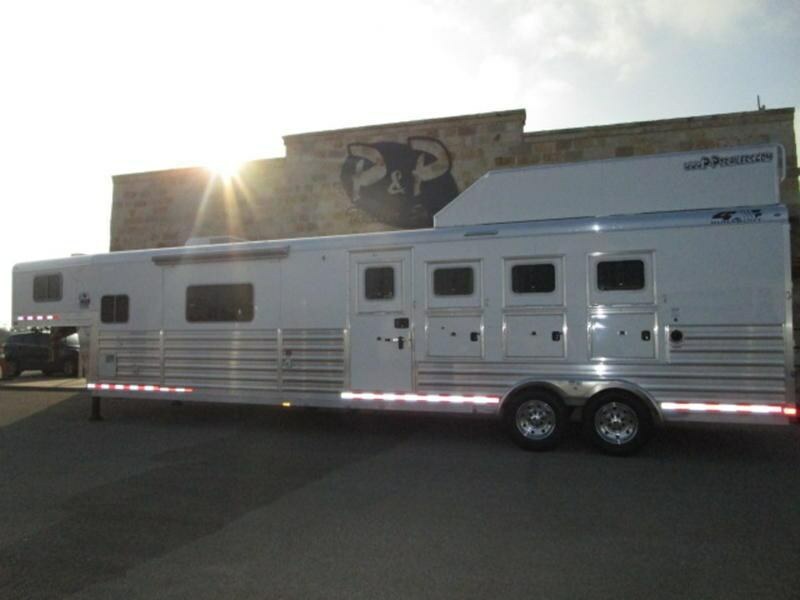 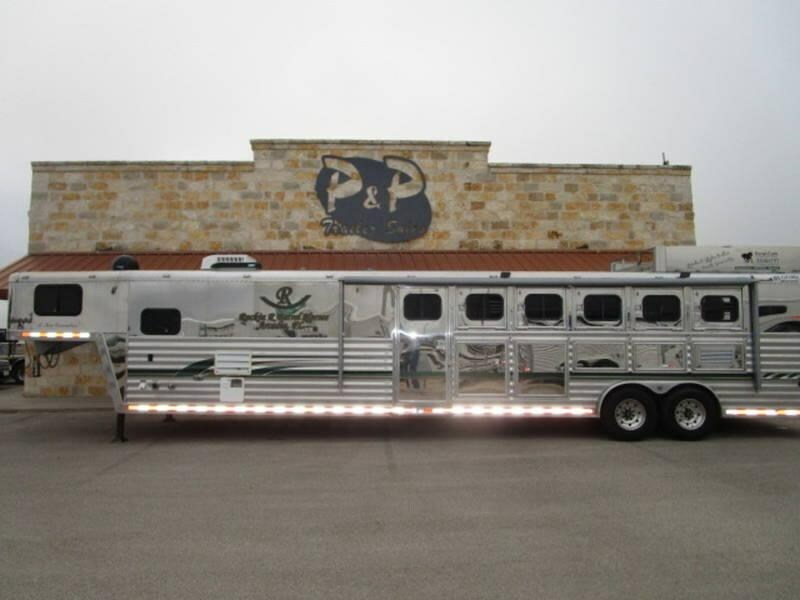 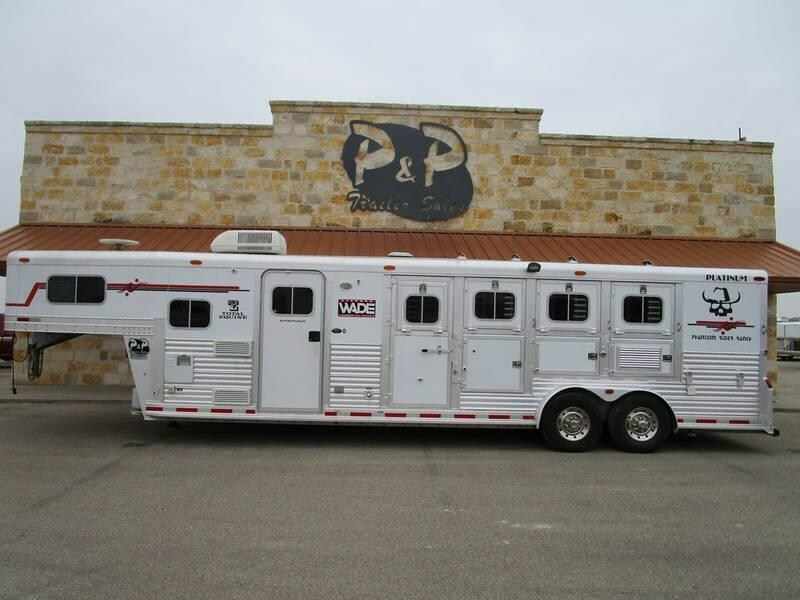 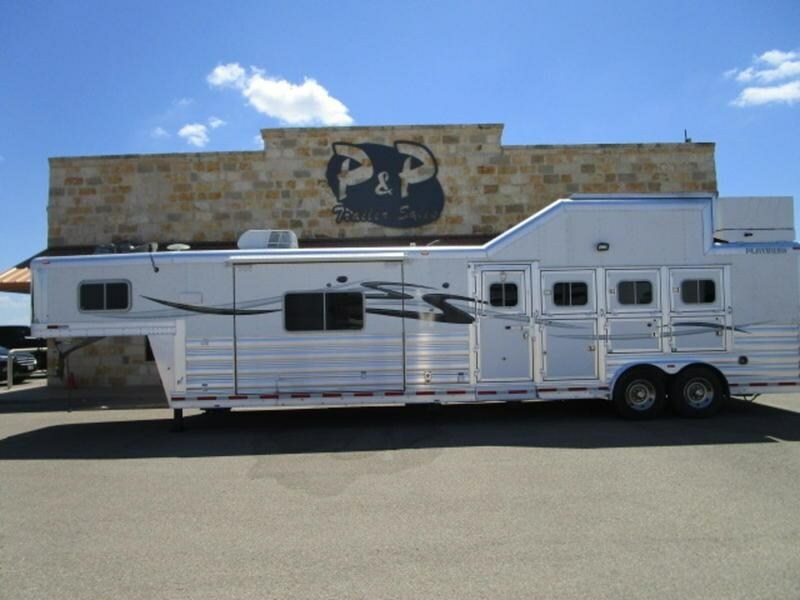 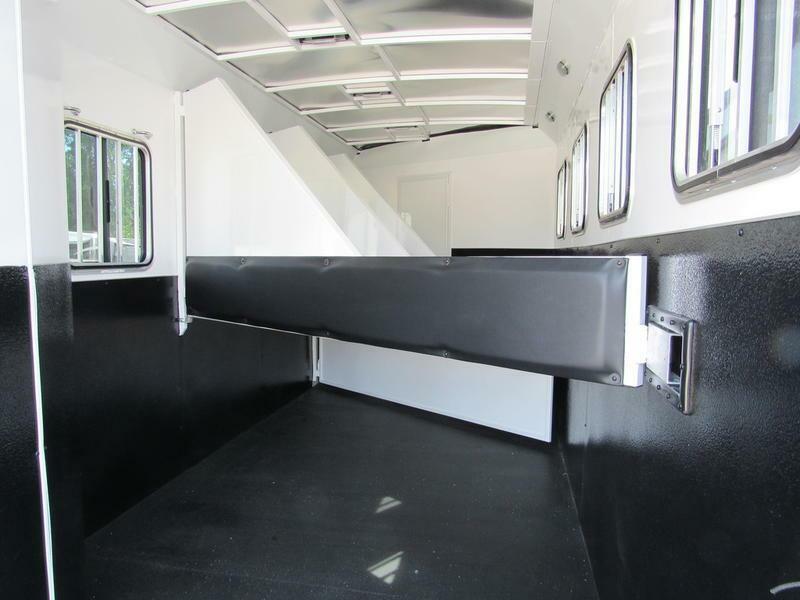 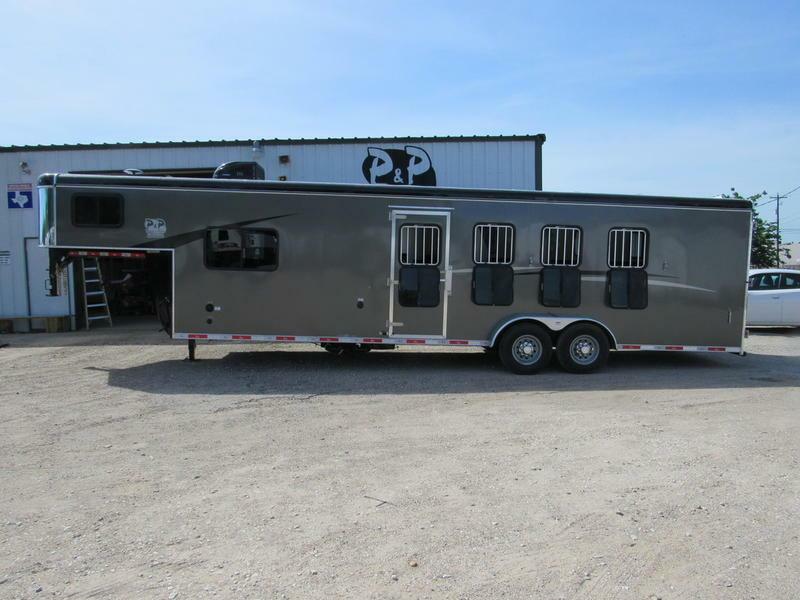 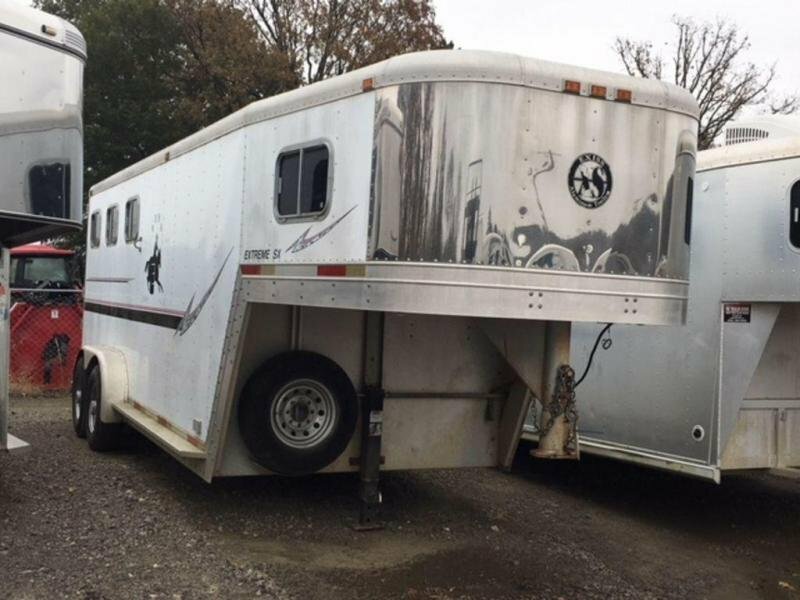 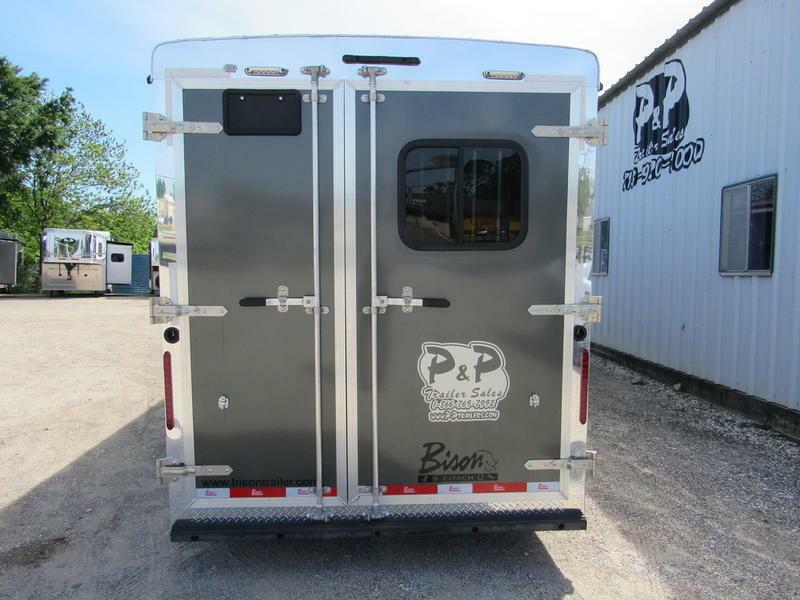 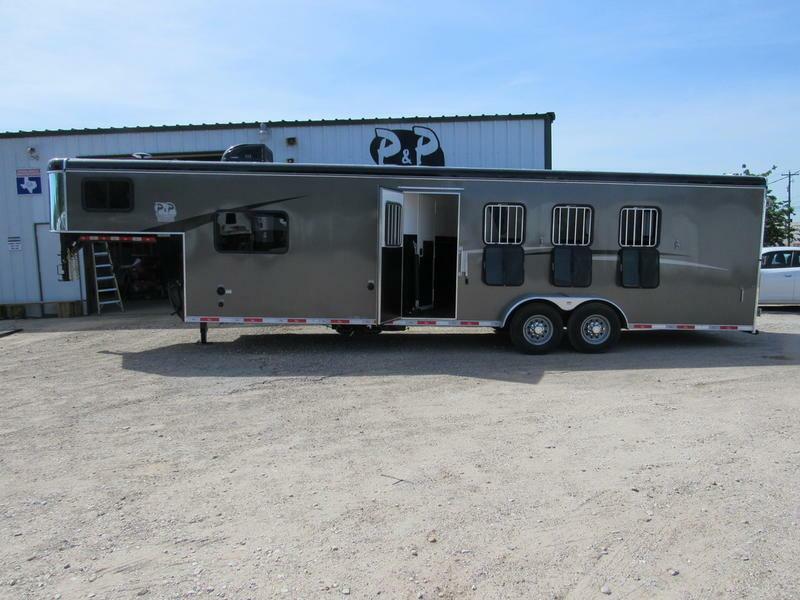 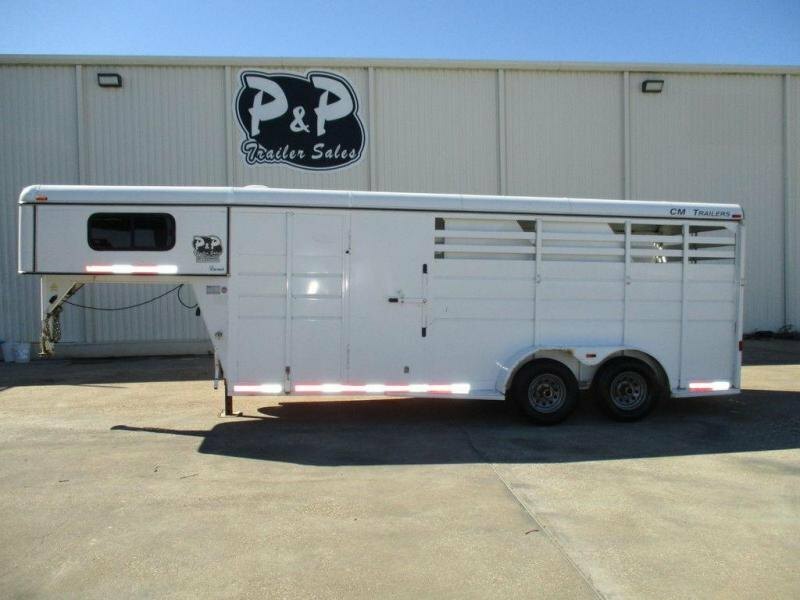 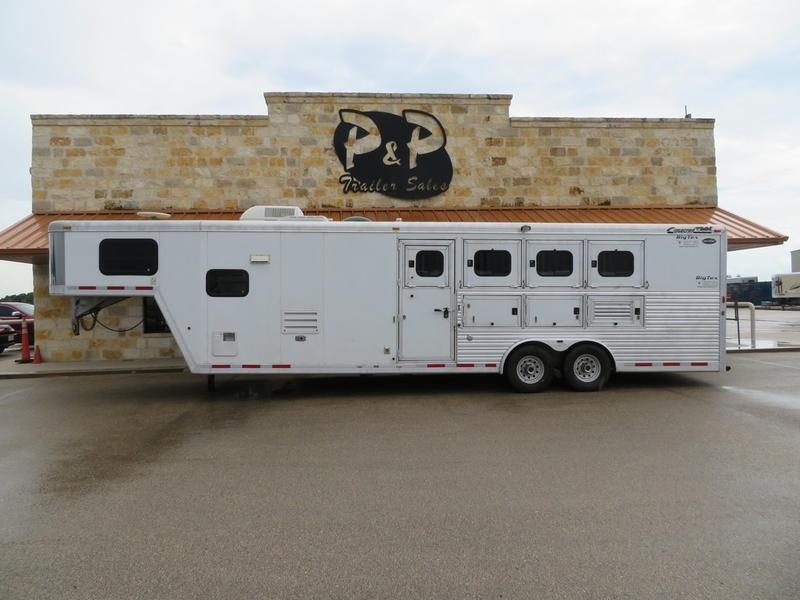 The rear aluminum constructed doors feature a double cam-bar for a tight seal, while positive slam latched horse gates feature comfortable padding on each gate for your precious cargo. 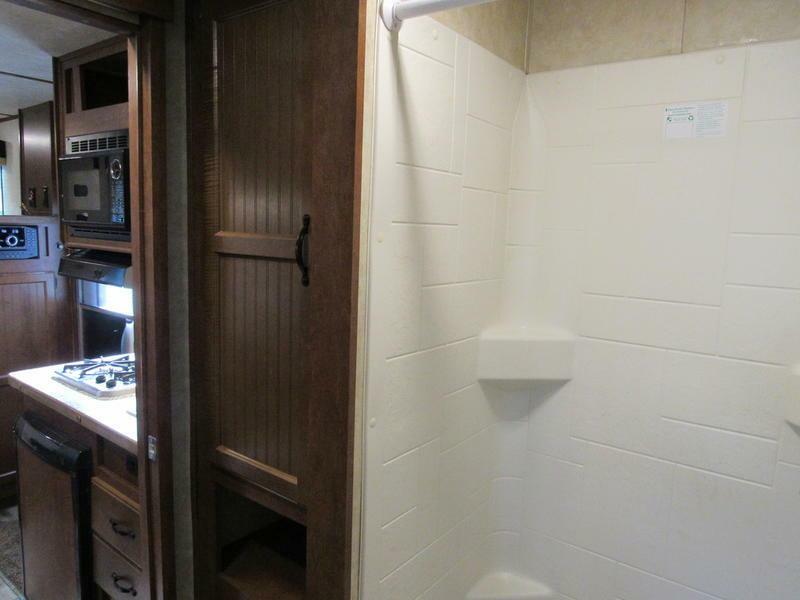 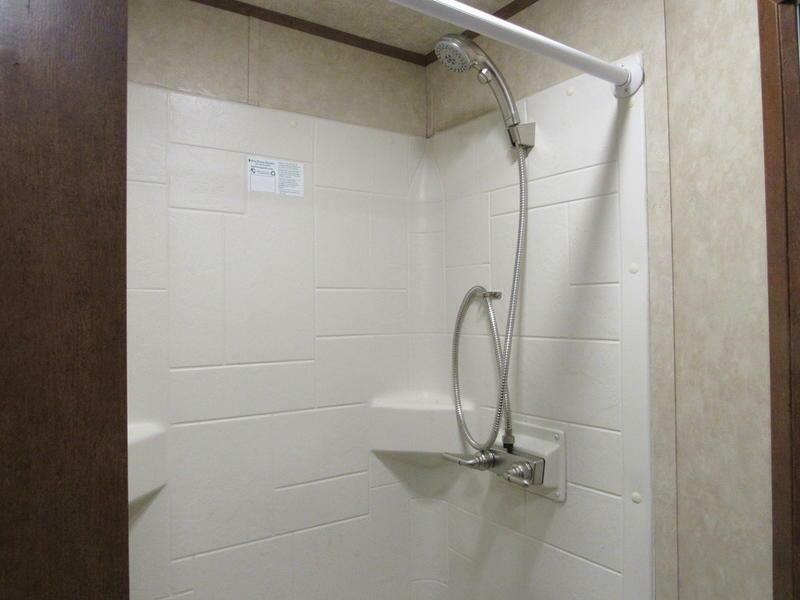 The bathroom of the TRAIL HAND features a shower, large linen cabinet, porcelain commode and nice size lav base with sink and mirrored medicine cabinet (some models). 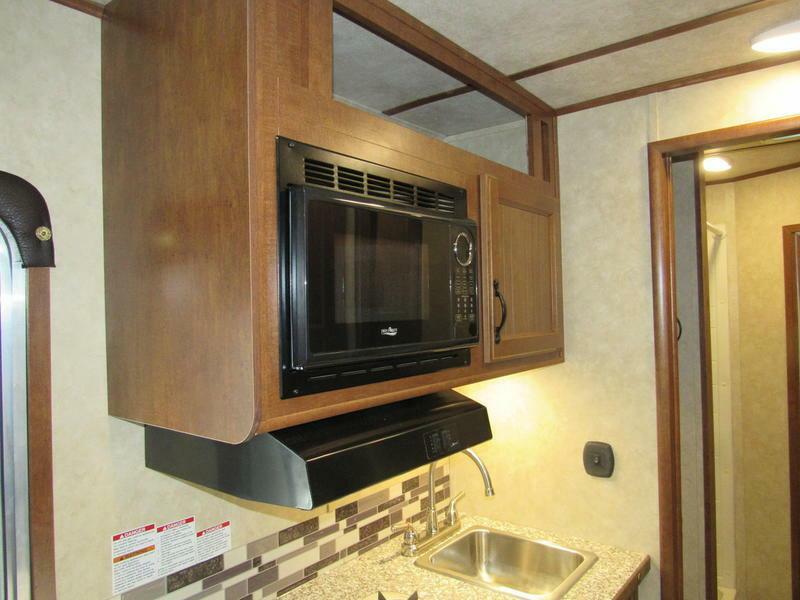 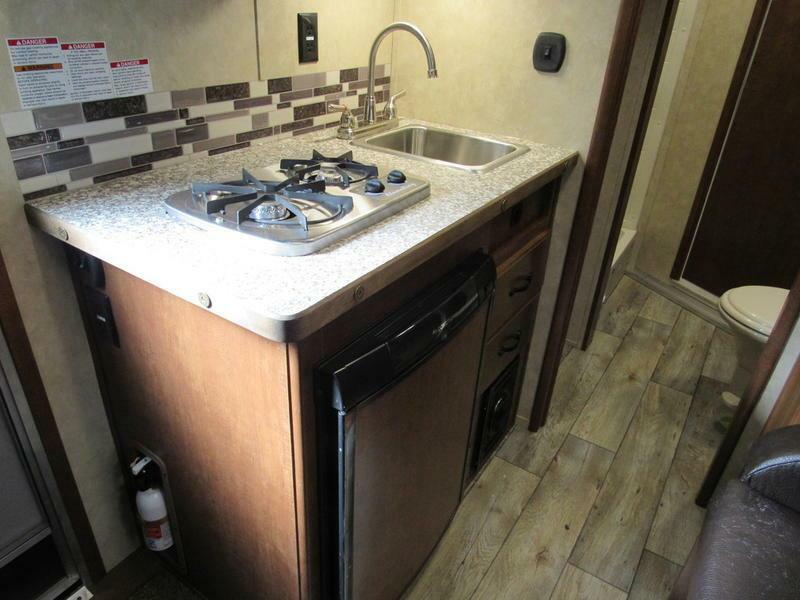 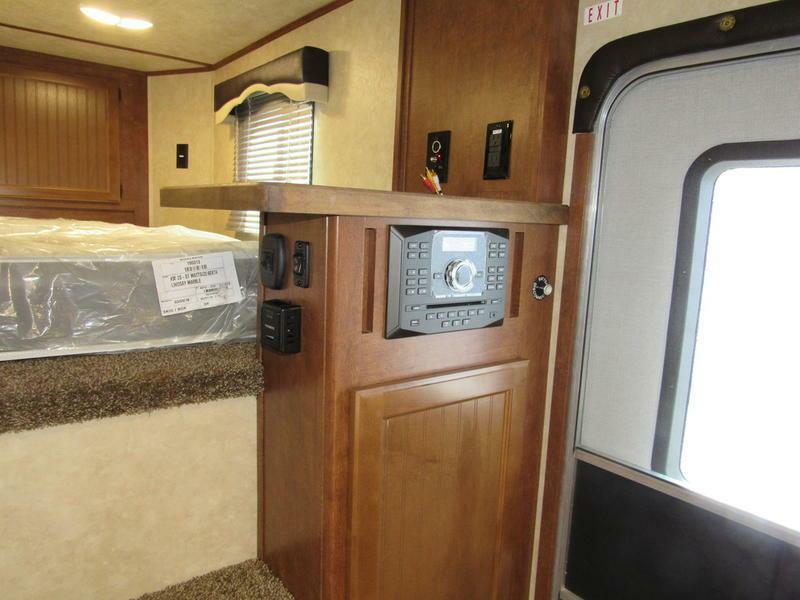 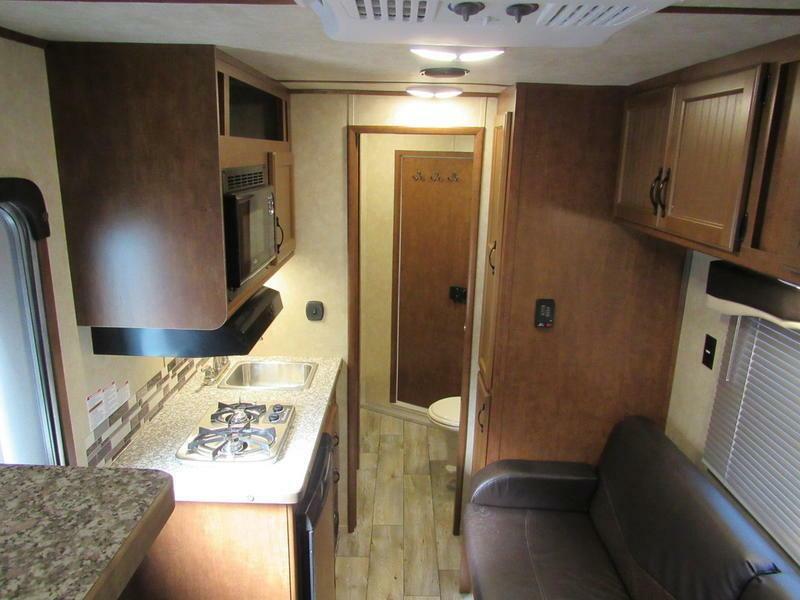 The surprisingly spacious interior of the TRAIL HAND features a kitchen with a two way refrigerator, gas cook-top stove with stainless range hood, and matching stainless microwave.